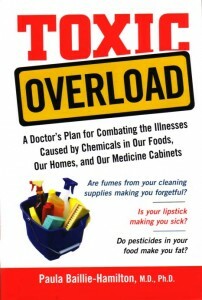 Hamilton reveals that the chemicals in our food, homes and environment actually cause all of these illnesses, and outlines a program to cleanse the body. 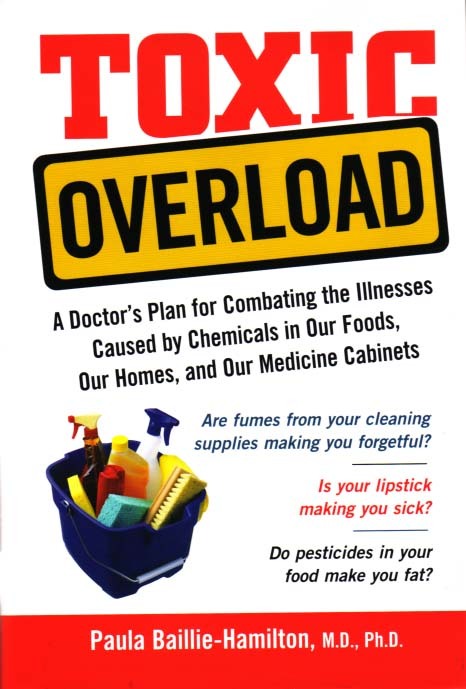 In countless studies, chemicals have been linked to the development of an ever-increasing number of conditions including asthma, autoimmune diseases, cancer, cardiovascular disease, diabetes, thyroid diseases and obesity. Most importantly, she offers practical and effective solutions to combat and prevent the harmful effects of these toxins. With her helpful tips and suggestions for safe products and dietary recommendations, your whole family can restore their health and prevent future disease. Her three-step program is designed to flush harmful toxins and prevent future contamination. The process includes a body-cleansing supplement program to strengthen immunity and reverse the damaging effects of toxic chemicals; a seven-day de-sludge diet which contains healthy meal plans and a list of chemical-laden foods to avoid. Home detoxification tips show readers where dangerous toxins lurk and how to integrate chemical-free home and beauty products into their lives. $24.95 hardcover — Avery/Penguin Group, 375 Hudson St., New York, NY 10014.